MISSOULA, Mont. -- Federal officials are searching for Kevin Joseph Lino, a felon wanted for his alleged involvement in the July assault and murder of a man at a Missoula, Montana homeless camp. Police are also on the lookout for Lino's girlfriend, Angela Marchese, who may be traveling with Lino and who is considered a witness in the case, reports CBS affiliate KPAX. Lino, 27, is accused of killing Gilbert George "Jack" Berry, a transient whose body was discovered Aug. 5 floating in the Clark Fork River in Missoula County, according to CBS affiliate KPAX. According to an FBI release, which didn't name Berry, Lino and two accomplices allegedly kicked and punched the victim after a verbal altercation at a homeless camp underneath a Missoula bridge, on or around July 30. The group is alleged to have cut gang symbols into the victim's skin with a knife, and the FBI says Lino also urinated on the victim before allegedly shooting him in the head with a 9mm pistol and dumping his body in the river. 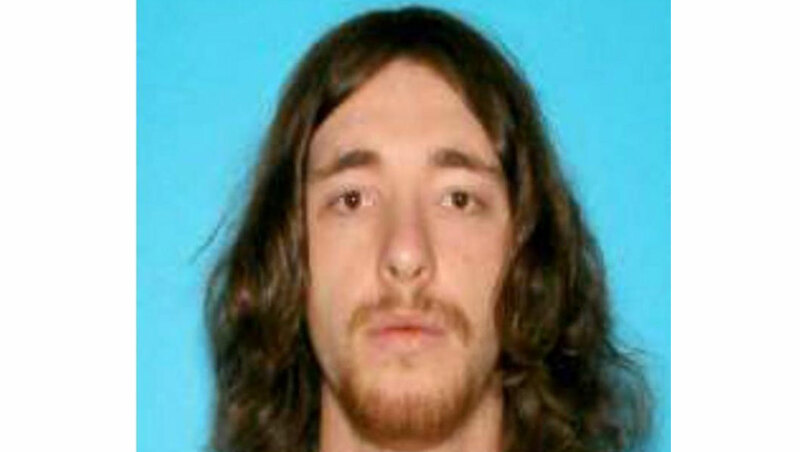 Authorities say Berry was a transient new to the Missoula area, reports KPAX. A fisherman discovered his body days after his death, reports the station. KPAX reports authorities have already charged two others two others, Kenneth Hickman and Mechailiah Tembreull, in the case. Hickman was charged with aggravated assault, and Tembreull with accountability for aggravated assault, reports the station. Lino was charged with deliberate homicide and a Montana state warrant was issued for his arrest on Aug. 7. A federal warrant was issued Aug. 14, charging Lino with unlawful flight to avoid prosecution. According to the FBI, Lino was last known to be traveling in a white, four-door 2014 Ford Focus SE with temporary West Virginia license plates 285026. It's registered in Oklahoma, and was last seen on Aug. 11 in Monument, Colorado. Federal authorities believe he could be with his girlfriend, Marchese, traveling east. They say Marchese is not a fugitive. The couple, known to be transients, has ties to West Virginia, Massachusetts and Louisiana, according to the FBI. They may be in possession of nine pit bull puppies, according to the FBI. It's likely that the couple is stopping at food banks and shelters, and they may stay in homeless camps with their dogs. Lino is described as a white male, between six feet one and six feet four inches tall, with brown hair and brown eyes. He is 155 pounds and has a tattoo on his left hand. His last known residence was in Lowell, Massachusetts, and federal authorities say he is a known drug user. Marchese, 27, is described as a white female with brown hair and green eyes. She only has one leg and uses a wheelchair or crutches, according to the FBI. It's unknown whether she has a prosthetic leg. Lino should be considered armed and dangerous. If you have any information about his whereabouts, please contact your local FBI office or the nearest American Embassy or Consulate.